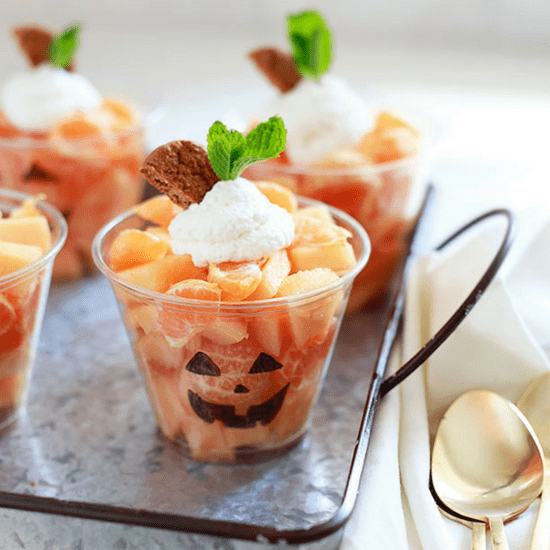 These Halloween Jack-O-Lantern Fruit Cup’s would make the perfect healthy Halloween treats for school, and may just be the quickest Halloween themed snack you can put together. If your kids are anything like mine they will be just delighted with this simple little jack-o-lantern! Image courtesy of Yummy Mummy Kitchen. 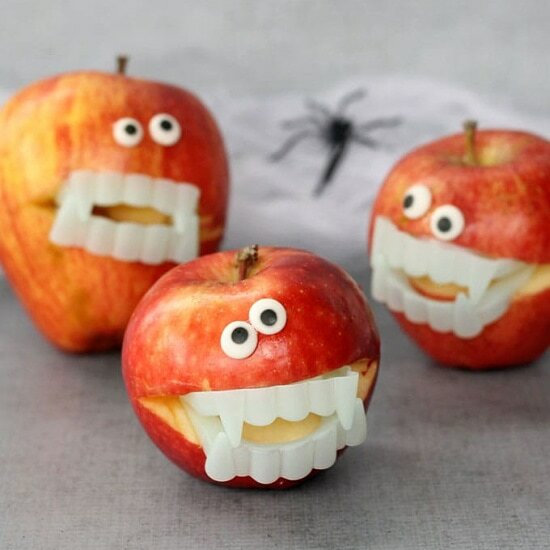 Easy monster apples for a fun Halloween party food idea. 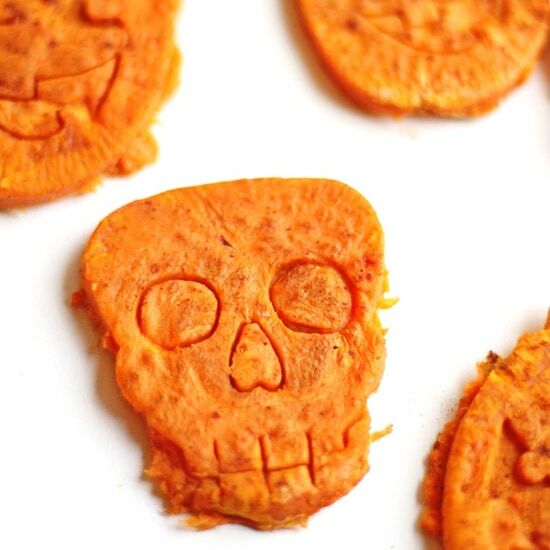 This is such a quick and simple idea for a healthy Halloween treat the kids could even help assemble them! These little Orange Fruit Jack-O-Lantern’s are sure to bring a smile to anyone’s face this Halloween! Fill them with whatever fruit is in season in your area and serve them as the centerpiece of your Halloween dessert table. Image courtesy of Thrifty Jinxy. I am in love with these Rambutan Eyeballs from Farm Fresh Feasts. 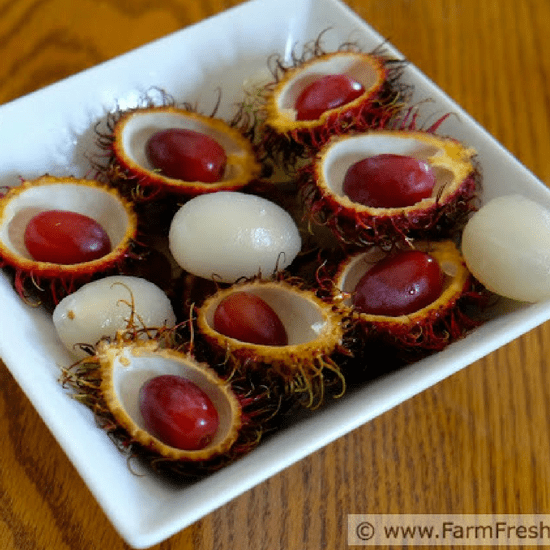 Using Rambutan and some grapes you can quickly and easily whip up a real food freaky snack! Plus the kids (and maybe the adults too?) get to try something new. So fun! 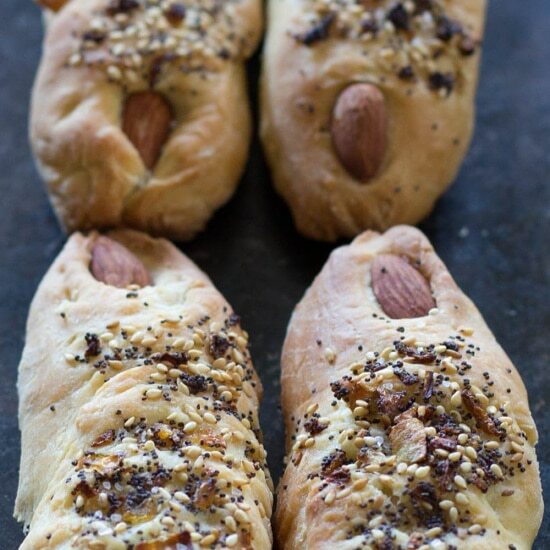 Image courtesy of Farm Fresh Feasts. 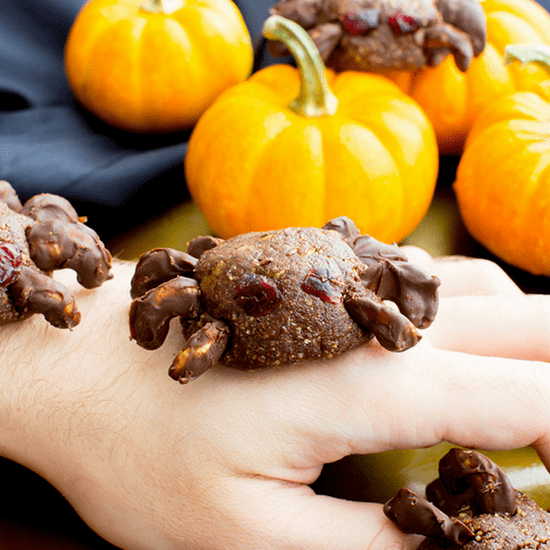 These little Vegan Halloween Spiders require no baking and just 8 ingredients. They are so fun and super cute to boot. 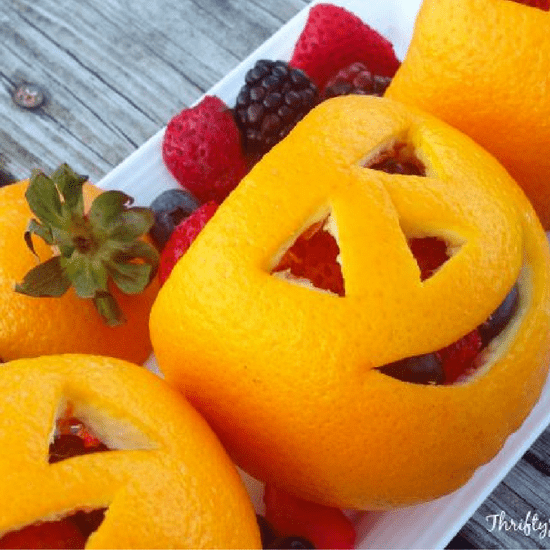 They would make great healthy Halloween treats for classroom parties! Image courtesy of Beaming Baker. No food coloring here. 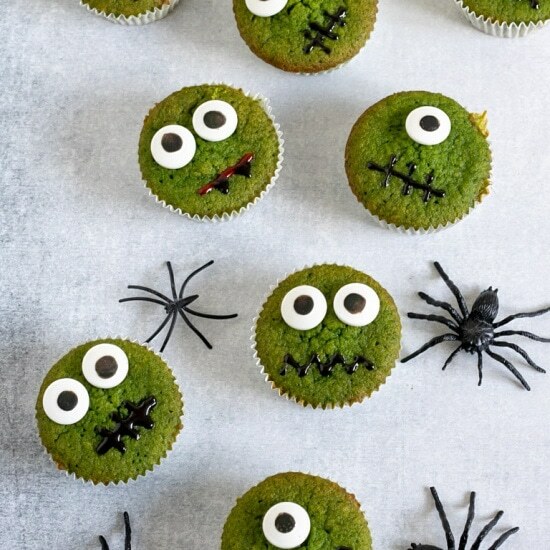 Try these ghoulish halloween cupcakes. They’re a little healthier and the scary green colour comes from… spinach! You can’t taste the hidden greens in these vegetable cupcakes. 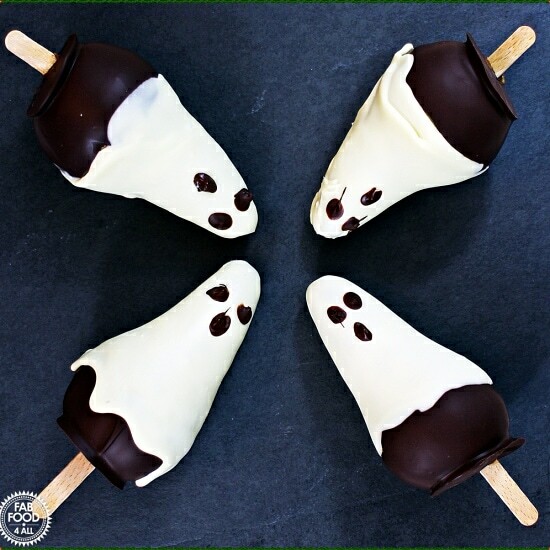 I think these Chocolate Pear Ghosts are the perfect fun activity to do with kids of all ages as they aren’t too difficult. Team work really is called for when holding the pears upright whilst the dark chocolate is setting and the other person carries on dipping the pears! No Churn Black Sesame Coconut Milk Ice Cream. It is made with maple syrup and is creamy delicious and pretty scary looking. 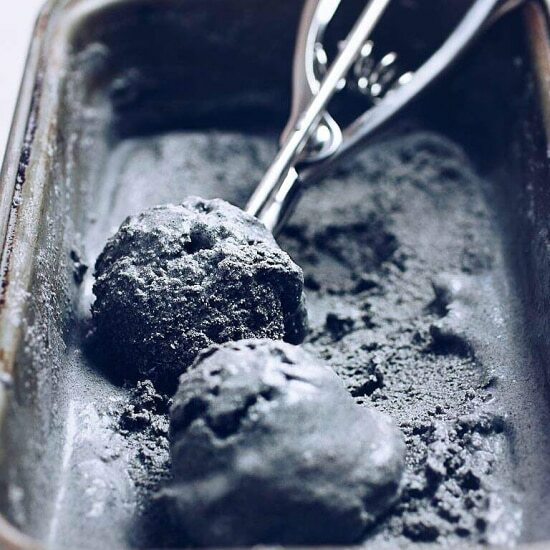 This vegan-friendly black sesame ice cream tastes nutty milky delicious. Best of all it’s no churn and simple to make! Ok, this one is a doozy, how easy are these cheese sticks? 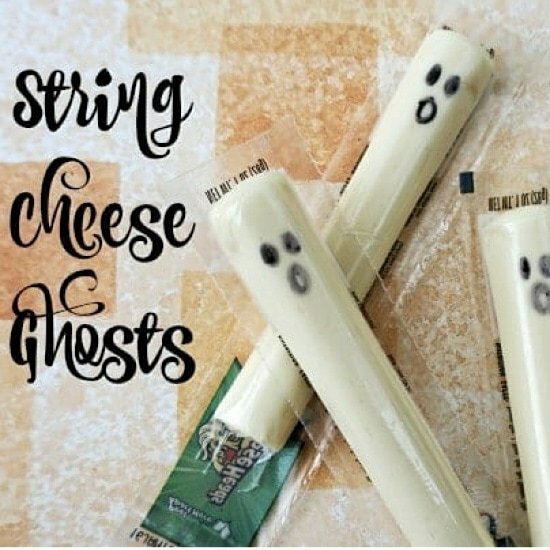 These would be great for handing out at as healthy Halloween treats for classroom parties and you could totally whip them up the night before if you forgot all about the party (speaking from experience). 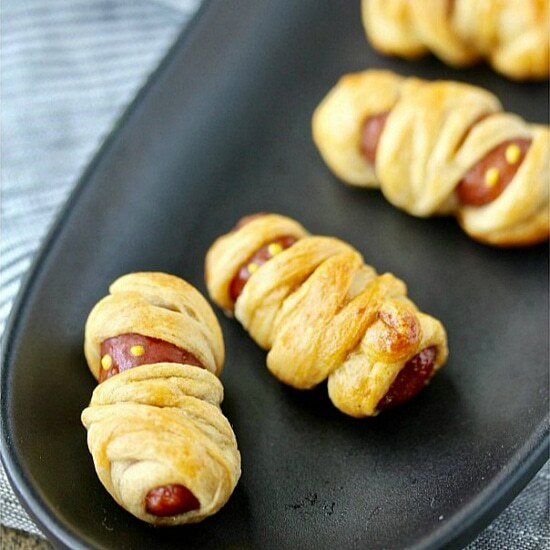 Mini Mummy Dogs, little smoked sausages wrapped in crescent roll “bandages” for your Halloween party. Perhaps the best part of making these Spooky Breadstick Fingers is that you don’t have to worry if your creations are not works of art. In fact, the more misshapen, the better. What About Some Healthy Halloween Drinks? 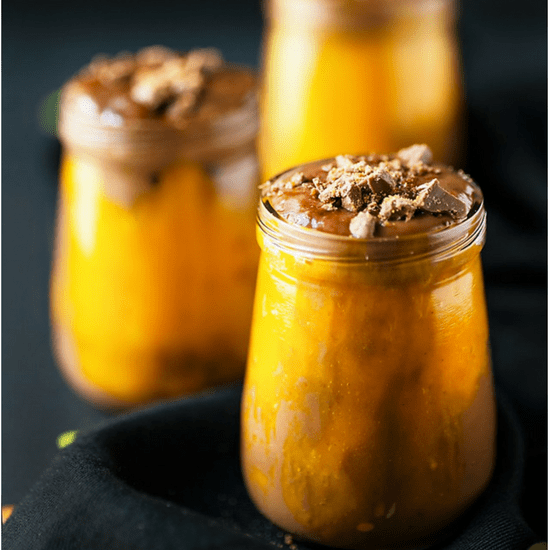 This Healthy Halloween Pumpkin Chocolate Potion was a huge hit with my little ones. The color is just fantastic and the drink itself tastes super creamy and delicious. Image courtesy of Food Smart Mom. Need a treat for the adults? 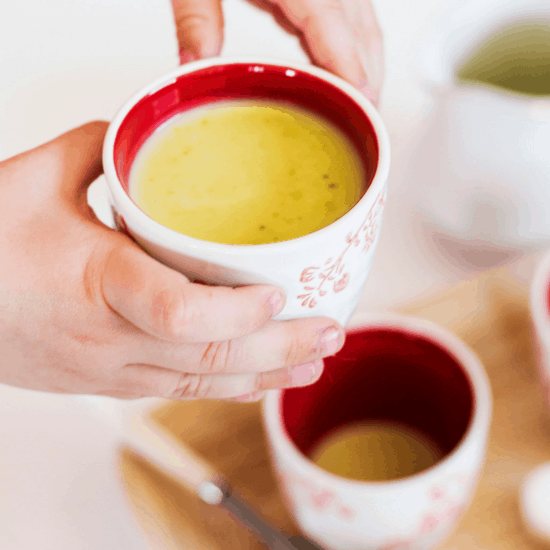 For a hot chocolate with a difference try out a Matcha White Hot Chocolate this Halloween. It looks like thick and slimy swamp water but tastes creamy and delicious! Image courtesy of Whole Food Bellies. 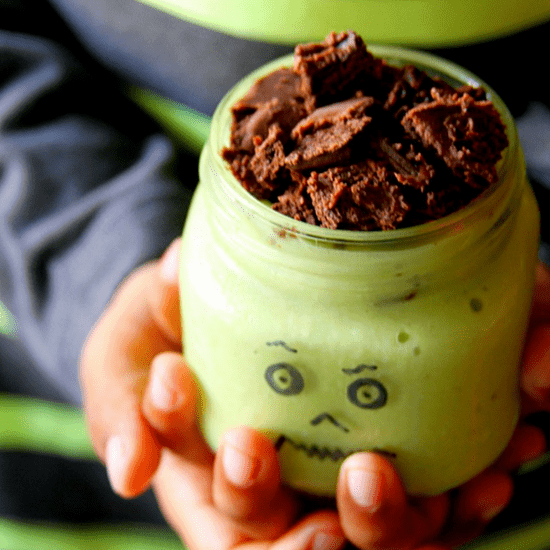 And for the kids, this ‘ghoulish’ Scary Green Monster Shake using avocados for the great green color are just adorable and would make the perfect little shake for your little ghoul. Image courtesy of Happy and Harried. What are your plans for the little ones this Halloween? Let me know if you try any of these Healthy Treats!! Happy eating. All these look so fun and delish!! 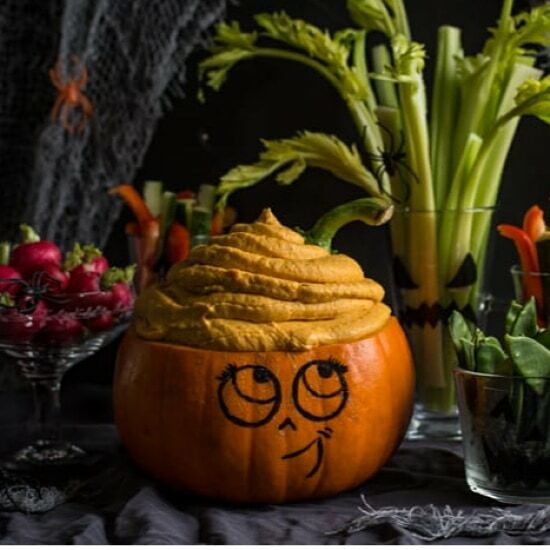 These are great ideas for healthy Halloween treats! Everything looks so fun too!